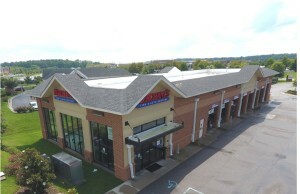 New York, NY – August 12, 2015 – (RealEstateRama) — Hunt Mortgage Group, a commercial real estate lender, announced today that it has provided an $11.7 million Fannie Mae loan facility to refinance a multifamily property located in Sterling, Virginia. The loan term is 10-years, with seven-years of interest only, amortizing over 30-years. The new facility replaces an existing Hunt Mortgage Group Fannie Mae loan with a Fannie Mae Choice Refinance Structured ARM. The Fields of Sterling Apartments is comprised of five, three-story garden style buildings with a total of 102 rental units. The property was developed in 1998 and placed in affordable service with all units operated under the Virginia Housing Development Authority restrictions (60% AMI) and with 6 units operated under the Restrictive Covenant of Loudoun County (50% of AMI). The borrower is KA Fields of Sterling LLC, backed by key principal Robert Kettler, a well-known and prominent multi-family developer, owner and property manager based primarily in the metropolitan Washington-DC area. The property is located in a western suburb of Washington, DC with rising rents and high occupancies. “The property carries affordability restrictions related to its initial development under the LIHTC Program and it will continue to provide a much needed affordable housing alternative to the local community,” added Cullen. The unit mix is comprised of 35 two-bedroom, one-and-a-half bathroom units, 45 two-bedroom, two-bathroom apartments, and 22 three-bedroom, two-bathroom units. Project amenities include a swimming pool with sundeck, wading pool, fitness center, tennis court, tot lot, and walking trail. Free parking is available on property for all tenants via a total of 205 surface parking spaces.